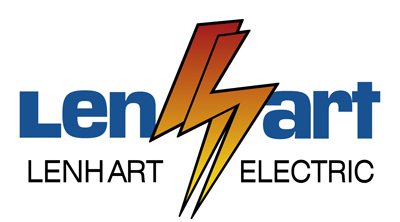 Lenhart Electric clients from all over Central Florida review our employees, services and even our punctuality! These are some of our very favorite reviews. Very friendly and punctual… they did a great job and I will definitely use them in the future. First time customer of Lenhart, but definitely not the last. Lightning got my doorbell and a GFI outlet. I called after seeing their ad in the Daily Sun. Today the expert tech Kyle W arrived right on time, saw the issues and had everything fixed within the hour. He was friendly, professional, cleaned up after the repair was done, and took the time to explain to me what he was doing. Charged exactly what their ad quoted with no upsells. Highly recommend this company for any electrical needs. Called Lenhart to sort out a problem with our large commercial electrical circuit board etc. Problem was fixed that day and the bill was very reasonable. Highly recommend. Called Lenhart electric to deal with a circuit problem with our commercial board. They were prompt, efficient, very courteous and got the job done in good time at a very fair price. Just a quick note to let you know how happy we are with the work your electrician, Kevin Young, did for us this morning. He fixed the post light sensor, the faulty GFI connected to it, and installed new smoke alarms quickly and expertly. He was polite, friendly, and extremely knowledgeable with his answers to my questions. Your prices are reasonable, your electricians that have done work for us were all top-notch, and we will definitely be using you for all our future electrical work. Thanks again, and please let Kevin know what a great asset he is to your company. I always ask for Harry out of Wildwood. Very professional, very skilled. Great guy that you feel very comfortable having in your home. 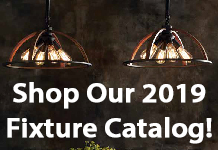 Lenhart Electric is what I consider to be a Class A Company. The assigned technician, Mike Gould, was everything we all wish service people were like: polite, courteous, on time, professional all the way. The world needs more employees or owners like Mike Gould! The experience was “PAINLESS”. Our technician, Kevin Smith was 1) on time 2) courteous and cheerful and 3) completed everything we wanted done in a timely manner. We will continue to us Lenhart in the future. It was a very positive experience. Excellent Service by very trustworthy individuals. I highly recommend the company. As a construction manager having the pleasure of working with these guys for the last few years…I can honestly tell you they absolutely go above and beyond to ensure they deliver a quality product. You guys ROCK! Lenhart did under and over counter lights and hung a light for me. I get so many compliments, they did a wonderful job.